The Kennedy method of classification was originally proposed by Dr. Edward Kenedy in 1925. Like the Bailyn classification and also the Skinner classification, it is to classify the partially edentulous arch in a manner that will suggest certain principles of design for a given situation. the classifications don’t just make it easy for students but for the dental surgeons later to communicate about the condition and decide the line of treatment of partially edentulous jaws. 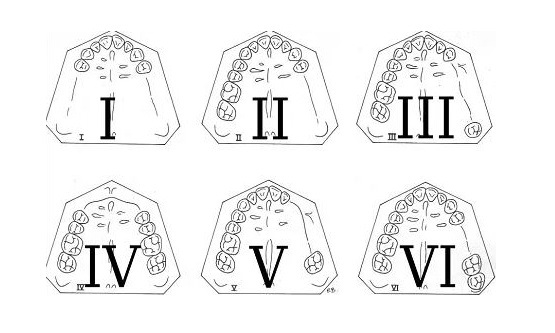 Kennedy divided all partially edentulous arches into four main types. Edentulous areas other than those determining the main types were designated as modification spaces. Kennedy’s method of classifying the Edentulous arch is one of the simplest and most used classification systems because of the ease at which it can be discussed with others as it brings immediate visualization of the partially edentulous arch. This gives the dentist to visualize the treatment plan in advance about the design of the partial denture. Class V: An edentulous area bound by teeth anteriorly and posteriorly, but where the anterior tooth is not suitable to be used as an abutment. Class VI: An edentulous situation where the bounded teeth are capable of total support of the prosthesis. How to determine Modifications of Kennedys Classification? The modification number coincides with the number of extra spaces to be filled. For example – a bilateral distal extension base with a saddle anterior to the space will be called as “Class I, Modification 1” while in case where there are three spaces which are all having teeth anteriorly and posterior to the space it is termed as “Class III, modification 2“. Appelgate has introduced 8 rules to help in classifying the partially edentulous arch. As the number of situations is large depending on the loss of tooth or teeth. Let us look at the following rules to help you decide which Class the partially edentulous arch is in. The Kennedy classification would be difficult to apply to every situation without certain rules for application. Applegate has provided the following eight rules governing the application of the Kennedy method. RULE 1: Classification should follow rather than precede any extractions of teeth that might alter the original classification. RULE 2: If a third molar is missing and not to be replaced, it is not considered in the classification. RULE 3: If a third molar is present and is to be used as an abutment, it is considered in the classification. RULE 4: If a second molar is missing and is not to be replaced, it is not considered in the classification (for example, if the opposing second molar is likewise missing and is not to be replaced). RULE 5: The most posterior edentulous area (or areas) always determines the classification. RULE 6: Edentulous areas other than those determining the classification are referred to as modifications and are designated by their number. RULE 7: The extent of the modification is not considered, only the number of additional edentulous areas. RULE 8: There can be no modification areas in Class IV arches. (Another edentulous area lying posterior to the “single bilateral area crossing the midline” would instead determine the classification). What are the Features for the success of a Partial Denture? The Class III partial denture requires indirect retention and direct retention, the direct retention has only one function to retain the prosthesis. Indirect retention, the requirement for which can be based on the case without base support from the ridge tissues. 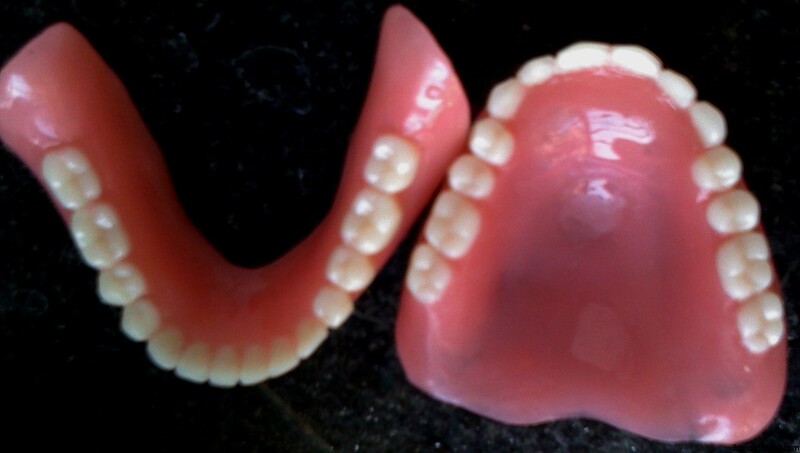 The design of each type of denture for a specific class is different. In case of Class II Kennedy’s classification cases, it requires both direct and indirect retention in case of tooth-borne modifications. In case of Class II partial denture it imparts design elements from Class I and Class III classification, hence it is classified between Class I and II. I read your older post on the Differences between Fenestration and Dehiscence. I find this in an endangered wild deer. What is the current thinking as to the cause in humans of these lesions? It is quite interesting that the same problem is seen in Deer as well. To be precise, the exact causes are not known, it can be because of uneven chewing habits (chewing only on one side) or unstable occlusion. The meaning Cross Arch stabilization means creating a retainer on the opposite side of the arch from where the missing teeth are to stabilize the appliance from biting and chewing forces. This prevents the teeth which have been replaced from being lifted when you start to chew as the retainer on the opposing arch creates a counter balance. PLEASE SIR CAN U HELP ME WITH SOME MORE EXPLANATIONS ON KENNEDY CLASSIFICATION OF PARTIAL DENTURE BASE ON THE CLASS 1,2,3,4, AND MODIFICATION.